This deeply purifying yet gentle botanical cleanser helps clarify combination and oily skin without upsetting its natural balance. Potent Totara Tree Essence combines with Willow Bark and Tea Tree extract to target bacteria while toning and soothing the skin. Sugar Cane and Apple extract lightly exfoliate and help stimulate renewal for a smooth, clear, pore less glow. Sulfate free and paraben free. 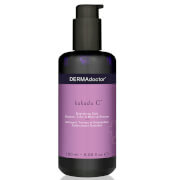 Gently massage gel over damp skin. Rinse with tepid water. Repeat if desired. I use the Astara scrub and love it, so I gave this a try. It is just average, my main complaint is the smell. Not sure what it is supposed to be, but all I can think of is fermenting citrus fruit. As a wash, it is okay, nothing great. I will use this bottle, but won't buy again. In my experience, I find Astara creates consistently high quality skin care products. I have tried quite a few different brands over time (25+ yrs,), and have found Astara's facial cleanser to be one of the very best I've tried. It has an amazing frangrance, and is not at all irritating to my skin. It cleanses my skin thoroughly without stripping it. 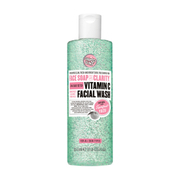 This is my favorite cleanser and I will continue to use it. No need or desire for me to change what I know works perfectly for me! This soap is the perfect cure for my oily, blemish prone skin. Its rather mild but has the ability to deep clean without over drying or causing irritation. In fact it has a very real soothing effect. 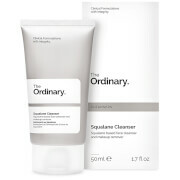 I highly recommend this balancing cleanser for oily skin types, a great natural product. If this soap sounds like a good fit you may also want to try Jurlique Blemish cream which works wonders and is also all natural. I use this with my Clairisonic brush and it works great. It lathers up really well and you only need a little bit. I prefer this to the other Astara liquid cleanser, which does not later well at all in my opinion. I would like it if the price were a bit more reasonable. Maybe between $25 and $30. $39 seems like a lot to pay for soap, albeit good soap. The smell is amazing.